﻿ Luxury Haul Part 2 2018! Feeling ko nagshopping ako!!! ???? Luxury Haul Part 2 2018! Feeling ko nagshopping ako!!! ???? Another luxury haul luxers of our new arrival items! I was really amazed that all these stuffs i got from a single person only! Personal items brand new and preloved that she doesn’t use anymore! Wide selection of different luxury bags only here at Luxonlineph! All items are 100% Guaranteed authentic or your money back! 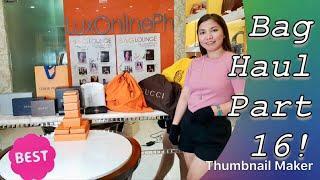 Luxury Bag Haul 2018 Part 16! Hermes pa more???? Luxury Haul 2018 Part 12! Level Up! 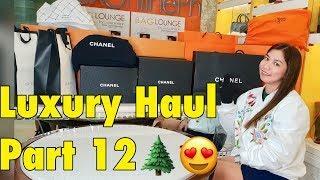 Luxury Haul 2018 Part 11! My Gloves na???? ! 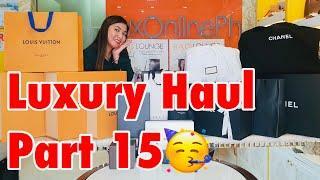 Massive Luxury Haul 2018 Part 10!!! Luxury Bag Haul 2018 Part 4! Go lang ng Go! Luxury Haul 2018 Part 7! OMG Chanel Overload! ???? Massive Luxury Haul Part 2018 Part 3! Stocks Overload ???? 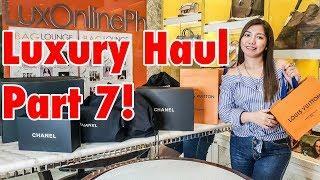 Luxury Haul 2018 Part 14! More more! ??? ?